British simulation training company NSC has been awarded a contract to continue working with Kuwait’s armed forces for three additional years. Under the contract, the company will provide computer-assisted decision-making exercises to help prepare the country’s future military commanders at the Mubarak Al Abdullah Joint Command and Staff College in Kuwait City, Kuwait. The company will train the region’s armed forces and other agencies for a broad spectrum of operationally relevant scenarios using its Joint Operations Command and Staff Training System (JOCASTS). NSC managing director Jeremy Spurr said the company has first-hand experience of Kuwait’s determination to develop military leaders of the future. "Through our continued support of the excellent directing staff at the Mubarak Al Abdullah Joint Command and Staff College, NSC is focused on providing world-class training that will preserve this operational advantage and ultimately enhance the national security of the state of Kuwait," Spurr said. "NSC is focused on providing world-class training that will preserve this operational advantage and ultimately enhance the national security of the state of Kuwait." Having supported training programmes at the facility since being established by the British military mission in 1996, NSC will enable Kuwait’s military to simulate the defence of its borders and critical national infrastructure. The company will also deploy its experienced team to closely work with directing staff at the college for preparation of bespoke exercises, which will reflect the ever-changing nature of peacekeeping. Readily modified to feature specific threats and actions, JOCASTS is designed to offer a mix of virtual incidents and live-feeds, and realistic strategic training for staff officers in the conduct of joint and combined operations within complex environments. 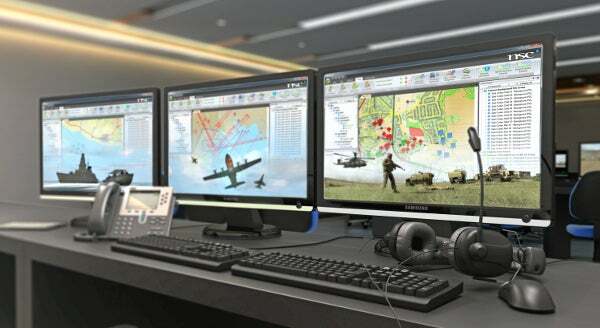 The system is also used by the British military to prepare commanders and headquarters staff for the challenges of modern-day combat operations at the UK Joint Services Command and Staff College (JSCSC) in Oxfordshire, UK. Image: NSC’s Joint Operations Command and Staff Training System. Photo: courtesy of NSC.